I really don't care if a business man is screwing around on his wife. It is not good for his public image and may have destroyed and political ambitions, but it is not relevant to anyone other than gossip mavens. Abramowitz must have been drinking with Ghouliani. "David Pecker's lawyer told ABC's This Week that AMI wasn't trying to blackmail Jeff Bezos because all AMI wanted was the truth to come out. ABRAMOWITZ: The source is totally wrong. It's absolutely not a crime to ask somebody to simply tell the truth. Tell the truth that this was not politically motivated and we will print no more stories." The National Enquirer pushed the limits of journalistic norms—and in the process called into question the legal protections enjoyed by the media.
" I will not report embarrassing information about you if you do X for me. And if you don’t do X quickly, I will report the embarrassing information"
"By passing over from the pursuit of news to corporate bullying for self-interested purposes—or, in the campaign-finance case, coordinated political activity with a candidate—a media organization risks forfeiting the constitutional protections normally working in its favor. Adherence to professional norms constitutes the first line of legal defense, the backbone of the claim for privileged treatment based on First Amendment values. Legal exemptions for news organizations often rest on explicit appeals to these norms. To escape the reach of the campaign-finance laws, a press entity has to be acting as a press entity, performing what the Federal Election Commission has characterized as a “legitimate press function.” The Foreign Agents Registration Act (FARA), which requires reporting of political or public-relations work on behalf of foreign nationals, carves out protections only for press entities’ “bona fide” news coverage. It is unsettling to strong supporters of press freedom (and I consider myself one) to accept that, because of the absence of overriding constitutional immunities, a press entity can find itself a corporation like any other having to defend against campaign finance, extortion, FARA, or other charges. But AMI’s case shows that a media organization can assume too much. AMI certainly assumed far too much about its latitude as a press entity to link arms with Michael Cohen in the defense of Donald Trump’s political interests. It was certainly forewarned. The Supreme Court majority in Citizens United went somewhat out of its way to deny that the Constitution singles out the press as a “preferred speaker” in the political process. That AMI is a media publisher, within the broadest construction of the term, did not allow it to become an auxiliary of the Trump campaign and engage in activities far removed from those that merit the most intense constitutional press protections. David Pecker, the chairman and CEO of AMI, was entitled to his personal political interests and preferences; his chairmanship of the company and power to deploy its resources in the furtherance of his political goals did not transform his partisan purposes into a “freedom of the press” issue. Whether a media organization can successfully claim the most robust legal protections has a great deal to do with its compliance with norms. In his opinion for the Court in Citizens United, Justice Anthony Kennedy noted the danger that other interests, unrelated to the news-gathering function, might drive a news company’s behavior. Political ambitions? Seriously? After trump, anything goes. 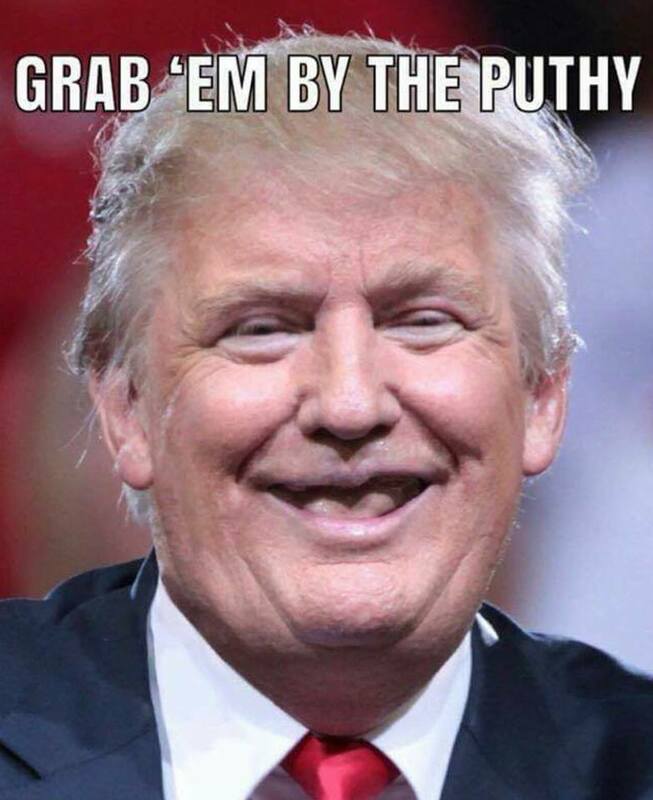 Grab em' by the puthy! "WASHINGTON — Private investigators working for Jeff Bezos have concluded that the brother of the Amazon CEO’s mistress leaked the couple’s intimate text messages to the National Enquirer, a person familiar with the matter told The Associated Press on Monday. The person wasn’t authorized to discuss the matter publicly and spoke to AP on condition of anonymity"
"The brother, Michael Sanchez, is a supporter of President Donald Trump and an acquaintance of Trump allies Roger Stone and Carter Page. He is also the manager of his sister, Lauren Sanchez, a former TV anchor. The investigators have not said how they believe Michael Sanchez came into possession of his sister’s intimate messages. "Amazon CEO Jeff Bezos is scheduled to meet with federal prosecutors in New York as soon as this week, according to people familiar with the matter. The meeting signals that the US attorney's office is escalating its inquiry connected to Bezos's suggestion that the kingdom of Saudi Arabia was behind a National Enquirer story that exposed his extramarital affair and his claim that the tabloid attempted to extort him. Plans for that meeting come as prosecutors in the Southern District of New York are seeking to obtain access to Bezos's electronic devices, these people said. They are attempting to examine Bezos's private investigators' allegation that the Saudis "gained private information" from his phone, and that such information wound up in the hands of American Media Inc. tabloid the National Enquirer, which published Bezos's texts. Attorneys for Bezos, the world's richest man, have been engaged in negotiations regarding his electronics. In recent weeks, Bezos's attorneys and investigators turned over to federal authorities documents and other material from their own inquiry, but not his devices, these people said. Bezos has suggested he became a target of the Saudis due to his ownership of The Washington Post and its coverage of the murder of its columnist Jamal Khashoggi. Amid these developments, Bezos has expanded his legal team, adding attorney Matthew Schwartz, a partner at law firm Boies Schiller Flexner LLP who spent a decade as a federal prosecutor in New York, the people familiar with the matter said. Schwartz didn't immediately respond to a request for comment. A spokeswoman for the US attorney's office declined to comment. A spokesman for the FBI declined to comment. It's not clear whether federal prosecutors have independent evidence to corroborate the claim that the Saudis hacked Bezos's phone or had any connection to the National Enquirer's story on his affair. Since February, prosecutors have been examining Bezos's claim that the publisher attempted to extort him after he sought to determine how the National Enquirer gained access to private texts he exchanged with a woman named Lauren Sanchez, with whom he was having an extramarital affair. Prosecutors have been probing the extortion claim in part to determine whether the actions of the National Enquirer's publisher, American Media, violated a non-prosecution agreement it struck last year with prosecutors. As part of that agreement, company officials admitted to its involvement in a hush-money scheme to influence the 2016 presidential election by silencing a woman who claimed an affair with then-candidate Donald Trump and agreed not to commit any crimes for three years. The agreement stemmed from prosecutors' investigation of Trump's former personal attorney Michael Cohen, who helped orchestrate that hush-money payment. Prosecutors haven't reached a determination concerning the extortion claim, according to a person familiar with the investigation, and they are now working to examine another set of claims -- those made last month by Bezos's security consultant, Gavin de Becker. "Our investigators and several experts concluded with high confidence that the Saudis had access to Bezos' phone, and gained private information," de Becker wrote in an opinion article in the Daily Beast. "As of today, it is unclear to what degree, if any, AMI was aware of the details. National Enquirer expected to be sold imminently as parent company faces pressure"
"American Media Inc. is actively seeking to sell off the National Enquirer, according to three people familiar with the process who asked not to be named because they were not authorized to speak publicly. The decision to sell came after the hedge fund manager whose firm controls AMI became “disgusted” with the Enquirer’s reporting tactics, according to one of these people. American Media has been under intense pressure due to the Enquirer’s efforts to tilt the 2016 presidential election in favor of Donald Trump, who is a longtime friend of American Media’s president and CEO, David Pecker. Pecker and his supermarket tabloid have also been embroiled in recent months in an unusually public feud with Jeff Bezos, who also owns The Washington Post. In August, just as AMI and two of its top officers were finalizing a non-prosecution agreement with federal investigators, the company’s board of directors started looking for ways to unload the tabloid business “because they didn’t want to deal with hassles like this anymore,” another person said. The company was also facing financial difficulty as it sought to refinance more than $400 million in debt earlier this year and as the Enquirer’s circulation continued to decline, along with broader newsstand trends. The paper sold an average of 516,000 copies per issue in 2014, but that number fell to 218,000 in December, according to data compiled by the Alliance for Audited Media.